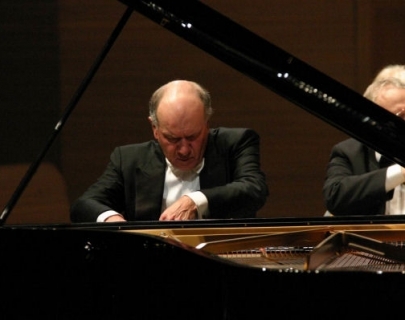 Musicians: Pianist John Lill Performance Extras: Pre-Concert Talk Helen Martin Studio 6.15pm, £2.50 Subscribers £1.50, In conversation with John Lill. John Lill is the kind of pianist they don’t make any more – a true keyboard lion. But at the centre of his career has been a lifelong engagement with the music of Ludwig van Beethoven.“Beethoven is my leading light” says Lill. “His music transcends emotion. It becomes a pure spiritual experience which awaits us all”. Critics have agreed. “His objective is always to serve the composer” says The Scotsman. “And when that composer is Beethoven, another great presence reveals itself. Lill plays him with an integrity few can match”. So this recital – in which Lill performs what might just be Beethoven’s four most popular piano sonatas – is practically self-recommending. No matter how familiar this music, from the brilliance of the Waldstein sonata to the grandeur of the Appassionata and the deep romantic poetry of the Moonlight sonata, Lill is certain to have something new – and profound – to say. Suitable for KS3, GCSE and A level students. Featuring a set piece from the Edexcel GCSE syllabus alongside three further piano sonatas this recital is part of our Instrumental() scheme enabling students from state schools from Coventry, Warwickshire and Solihull to have the opportunity to engage with our Classical Music programming. 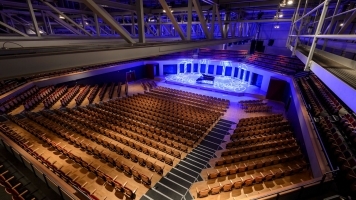 Warwick Arts Centre will work with individual schools to design and customise their visits, with the option of backstage tours, pre-concert talks and off site visits by Arts Centre staff. £17.50 Under 26s – £13.50 Under 18s – £10.50 Under 10s – £6.00. Contact j.branson@warwick.ac.uk if you would like to find out how your school can get FREE concert tickets to this performance.